Golden Lane residents are fighting to save seven trees slated for removal to make way for the neighbouring City of London Primary Academy Islington and housing development. 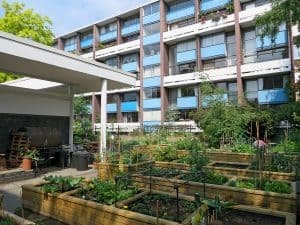 GOLDEN Lane residents are fighting to save seven trees at risk of being felled to make way for the neighbouring City of London Primary Academy Islington (COLPAI) and social housing development. More than 550 locals have signed a petition on change.org to protect the semi-mature silver birch and cherry trees on the western edge of the estate, which they say will serve as their only protection from the construction dust of the building site. 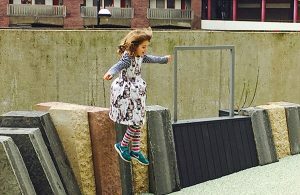 Islington Council and the City Corporation green-lit plans for the school and tower block in March after months of debate and fierce opposition from residents who maintained the scheme was too dense for the site and would harm the heritage of the Grade II-listed estate. Now their battle moves to saving the trees lining the boundary between the estate’s garden allotments and the COLPAI site, which are slated for removal to make way for construction work, with plans to replace them with three young trees after work is completed in 18 months. 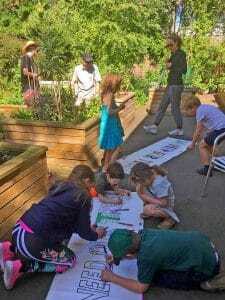 Estate gardening committee, the Golden Baggers, said that removing the trees will have a devastating impact on local wildlife and worsen the air quality at Prior Weston Primary, one of the 50 most polluted primary schools in London according to Mayor Sadiq Khan’s toxic air audit. Speaking on behalf of the Golden Baggers, Anna Parkinson said the contribution the trees bring to the site far outweighs the short-term inconvenience to developers. “The neighbourhood cannot afford to lose any trees, for any period of time,” she said. The committee plans to present the petition to the City’s town clerk John Barradell and policy chair Catherine McGuinness, as well as Islington councillors, in the hope that they will step in before the trees are removed. 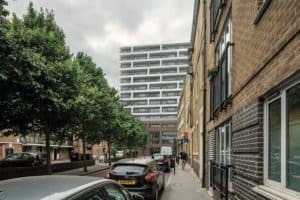 “Many residents of Golden Lane Estate and surrounding community feel that the COLPAI consultation process was wholly inadequate and not enough commitment was made by the developers to mitigate the acknowledged ‘harm’ caused by the scheme,” Ms Parkinson said.